did you noice the clothes changed? thats because it was actually two days at the beach. dally with her easter basket! doesnt she look thrilled! I have paint all over my shirt becasue we painted almost the whole house that weekend. I dont want to see another roller or brush for at least six months! uhh.......... not sure what this is, just typical Dahlia! 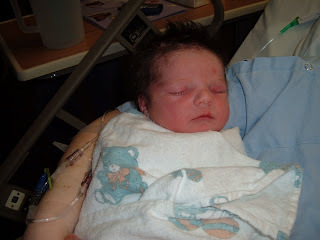 baby number one had lots of thick dark hair.long eye lashes and pretty beat up, i pushed for over two hours. 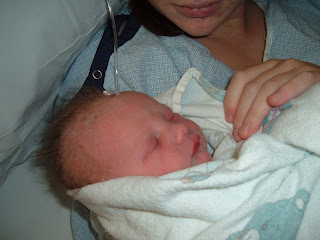 baby number two had light crazy hair! came out screaming and pushing the snot sucker out of the way. the doctor asked us if we were sure we wanted such a fiesty baby. WHAT WILL BABY NUMBER THREE LOOK LIKE, WE WILL BE FINDING OUT IN THE MIDDLE OF SEPTEMBER SOME TIME. WE are in big time shock as many of you probably are, we thought we were done, so if we gave you any baby things, we may be needing them back. OOPS! we didnt really know how to tell anyone this or who to tell first so we are announcing it to everyone all at the same time!